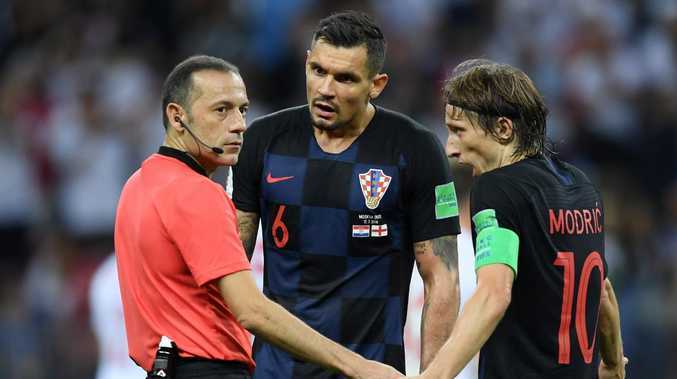 LIVERPOOL star Dejan Lovren and Real Madrid ace Luka Modric could face five years in prison after being charged with perjury. The case follows up the $A25 million embezzlement trial of former Dinamo Zagreb chief Zdravko Mamic, who was found guilty and sentenced to six and a half years in prison. Public prosecutors in Croatia claim Lovren lied under oath regarding his transfer from Zagreb to Lyon in 2010, after an investigation was exclusively revealed by SunSport late last year. Mamic, one of Croatian football's most influential figures, was found guilty of illegally raking in money for himself off the back of Real Madrid star Modric's exit from Zagreb a decade ago, and then Lovren's two years later. A public prosecutors' spokesman told SunSport late last year: "The county prosecutor's office in Osijek is investigating Dejan Lovren on a suspicion of giving false testimony."